Dog Training To Help Your Dog Stay In Shape! 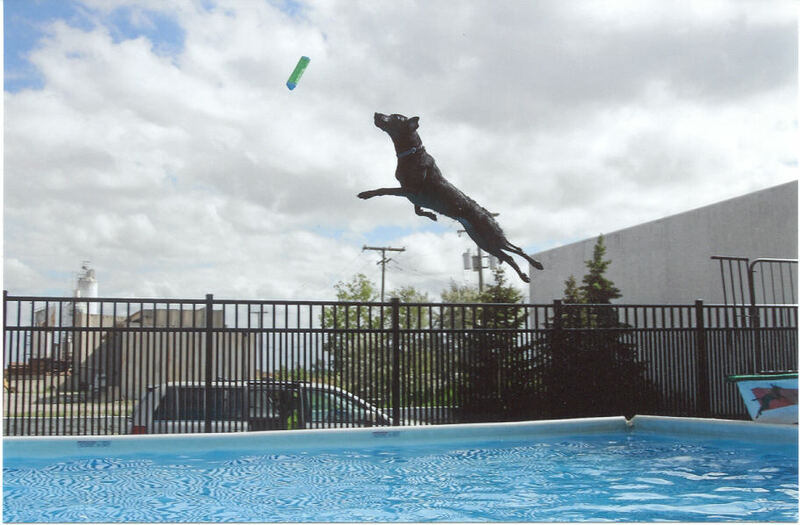 Splash Your Pup is the leading indoor dog dock diving and training facility in the greater Toledo OH area! 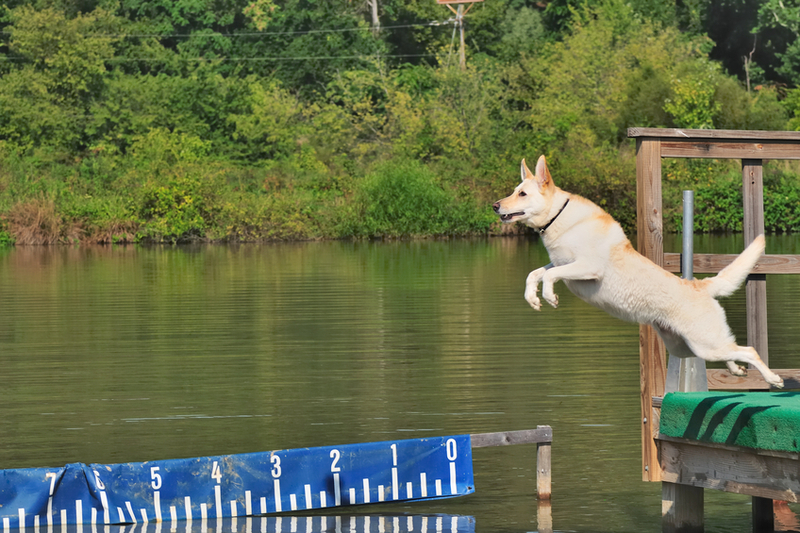 Our certified trainers and coaches will offer you and your dog a chance to freely dive and swim, getting them ready for a dock diving competition or just to have fun in the water! Dogs love the water, but living in the midwest we only have a few short precious months where our dogs can enjoy the water. That's where Splash Your Pup differs! Our pool is indoors, meaning you can come by anytime to reap the benefits! We're a nationally recognized dog swimming facility, and are owned & operated by certified dog training specialists. That means you and your dog are in the best of hands. Our indoor pool provides you and your dog a safe place to swim, with ramps and diving platforms that are designed to help facilitate practice, casual exercise, train, or just splash and have fun with you! Many owners enjoy playing a game of fetch with their dogs in the pool, and the dogs love it too! We have the highest quality ozone filtration system that's available, and we combine that with our safe and non-toxic minerals - this ensures that you and your best friend are safe, sanitary, and clean in our pools. We wouldn't let your dogs swim in our pools if they weren't safe, which is why we keep our pools clean of harsh chemicals. Our members enjoy private swimming sessions, one-on-one dock diving and jumping training, group swimming, and much more! Be prepared to get wet -- it is highly recommended you bring an extra pair of shoes, wear quick dry clothing, or a change of clothes. A drying station is available after swim and towels are provided. We require a hard copy of proof of vaccinations. We require rabies and distemper, and titers are allowed. No exceptions - if you forget vaccine paperwork you will not be allowed to swim and will be charged a late cancellation fee of $50. Your vaccine paperwork will be kept on file and will be expected to be updated on due dates. Contact us to find out more about the benefits of our indoor pool, dock diving, and more! Or just stop on by our location, we'd love to see you and tell you more about how we think you and your dog can benefit from our dog training.